Jennifer Gray received a Bravo Award from the College of Pharmacy. The Bravo Award provides recognition and reward for substantial accomplishments that extend well beyond regular work responsibilities. Jen’s Bravo Award recognizes her outstanding contributions as our Communications Coordinator, particularly in planning for this year’s Peck Symposium and the LyoHUB consortium annual meeting. Dr. Naila Mugheirbi (Taylor group) has been selected to receive a postdoctoral fellowship in pharmaceutics from the Pharmaceutical Research and Manufacturers of America Foundation. This fellowship was awarded on the basis of a competitive proposal. Dr. Yoon Yeo has received a NIH/NIBIB R01 Administrative Supplement for Participation in the Concept to Clinic: Commercializing Innovation (C3i) Program to support her effort to translate the albumin-coated nanocrystal systems (Abxtals) to commercial products. Dr. Elizabeth Topp stepped down as IPPH Department Head on July 1st after eight years in the role, returning to the faculty. Dr. Topp and LyoHUB launched a 10-year technology roadmap for lyophilization in September of 2017, completing a two-year process. Dr. Lynne Taylor received a grant from Bristol-Myers Squibb Company, to support her project entitled, “Mechanistic Understanding of Drug Release from Amorphous Solid Dispersions to Improve Drug Loadings”. Dr. Rodolfo Pinal will serve on the organizing committee and co-chair the next Arden Conference to be held in April 2018 in Maryland. Dr. Kinam Park is a member of an interdisciplinary team of Purdue engineers, pharmacists, and veterinarians working to establish a predictive framework for rapidly screening and identifying effective and safe drug candidates and their delivery systems for treating cancers and other diseases. 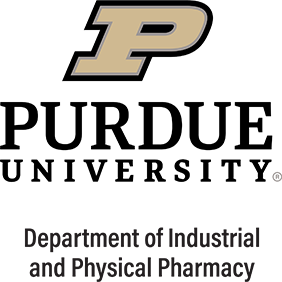 Dr. Gregory Knipp has been appointed to the Faculty Advisory Committee for the Purdue Translational Pharmacology Facility in Bindley Bioscience Center. Dr. Knipp is a co-founder and has served as the director of the PTP over several years and has helped grow the center’s pharmacokinetic and pharmacodynamic preclinical testing in the rodent and porcine models for collaborative publicly and privately funded projects.